Luxury TV brand Bang & Olufsen has a visual delight in store for us with its latest BeoVision Harmony model, and we’re not just talking about the image quality. Indeed, the TV is an aesthetic dream, featuring ‘wings’ housing a sound system that fold out much like a butterfly when it’s switched on. The design is all the more eye-catching as the oak and aluminimum wings actually cover the TV screen when not in use. Turn on the TV and the screen rises while the wings fold out similarly to a front-facing soundbar. When the TV is switched off, they automatically fall back to where they were, though the speakers can also be used as a regular sound system in this position. 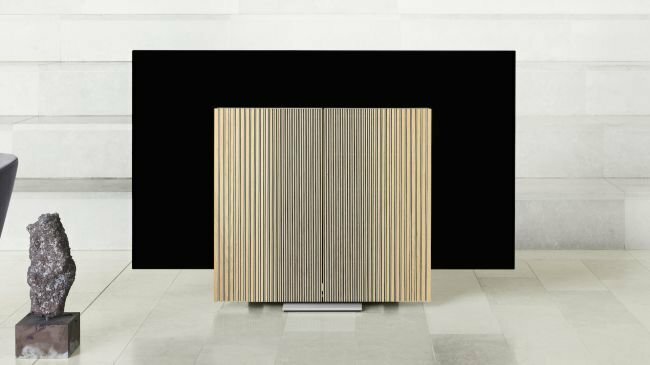 The Danish brand unveiled the BeoVision Harmony during the 2019 Milan Design Week event taking place this week. The company is clearly trying to tack onto the recent trend of hiding TVs in plain sight that was first invoked by Samsunng with its artistic “The Frame” TV that hangs on a wall and displays art work when not in use. The TV itself is rather good. It’s essentially a rebranded version of LG’s new C9 OLED model with the same 77-inch panel, albeit with some tweaks to make it work with the speaker wings. The display packs all of the latest image processing features employed by LG on its C9 OLED, plus the same apps. These include the apps pre-installed on LG’s webOS 4.5, such as Amazon and Netflix. Other features include support for Apple’s AirPlay 2 and Google’s Chromecast, and Bluetooth connectivity. The sound system itself is, as one would expect from Bang & Olufsen, rather neat. The speakers come in a three-channel configuration and can work with the company’s Beolab 18, Beolab 50 and Beolab 90 audio systems. It’s possible to pair up to eight wireless speakers with the TV, which can decode 7.1 surround sound. Those taken in by the eclectic design will have to wait a while before they can actually see it. 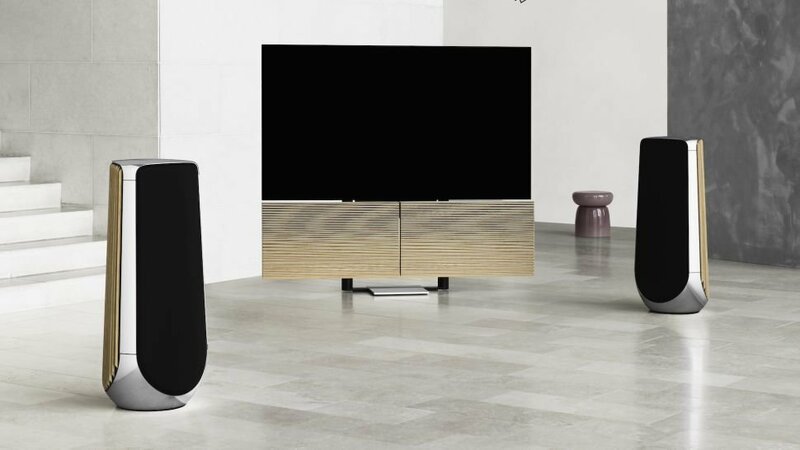 Bang & Olufsen said the BeoVision Harmony will launch in October, priced at 18,500 euros (£15,945). That’s quite a steep price tag for some admittedly beautiful speakers, when one considers that the otherwise identical LG C9 will be priced at just $6,999 when it goes on sale next month.